Fediverse is a portmanteau of “federation” and “universe”. It is a common, informal name for a somewhat broad federation of social network servers whose main purpose is microblogging, the sharing of short, public messages. By running social network software that supports a standard set of protocols called ActivityPub, independently run servers can connect to the Fediverse, allowing its users to follow and receive short messages from each other, regardless of which particular ActivityPub server implementation they are running. The Fediverse is built on Free Software. 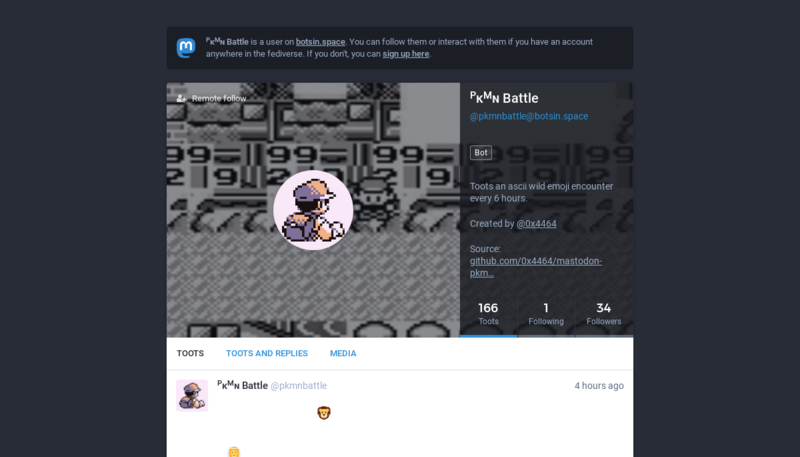 Some of its social networks are vaguely Twitter-ish in style (for example Mastodon, or GNU Social, similar in activities and their microblogging function), while other federated platforms include more communication and transaction options that are instead comparable to Google+ or Facebook (such as is the case with Friendica). Fediverse bots posting animated GIFs. These Fediverse bots are all fun and games. Fediverse bots that write and collect poetry. Fediverse bots that make things. Fediverse bots you can use to make more Fediverse bots.